Video gaming firms took a big hit late last year, but this quality firm now offers 'excellent value'. Skyrocketing shares and enviable growth forecasts have made video gaming firms such as Frontier Developments (LSE:FDEV) among the hottest investor plays on AIM over recent years. 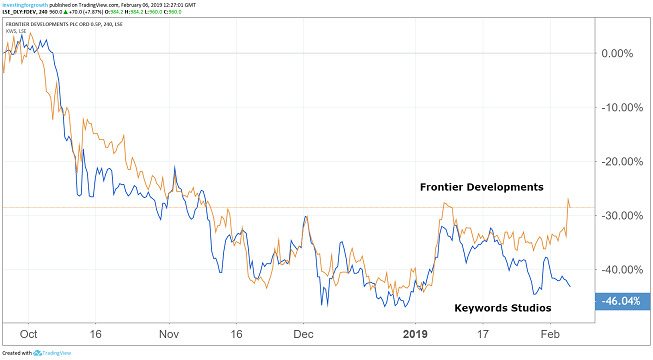 The success of Frontier, which surged 500% in value between 2016 and 2017, and Keywords Studios (LSE:KWS) has attracted a number of smaller players onto the junior market over the past year, with Sumo Group (LSE:SUMO) Team17 Group (LSE:TM17) and Codemasters (LSE:CDM) all listing. This surge in IPO activity, however, has coincided with the sector's first wobble in momentum after shares in Frontier and Keywords both fell sharply amid market turbulence and a general de-rating of the global gaming sector in the second half of 2018. From hitting a high of 1,825p in June, Frontier lost 60% of its value to stand at 740p by Christmas. The stock is now back above the £10 barrier, having surged 15% today on the back of well-received interim results highlighting the success of its third gaming franchise, Jurassic World Evolution, following its launch last June. The game has won rave reviews from gamers and gaming magazines, making it the Cambridge-based company's biggest launch to date, with one million unit sales within five weeks and two million within seven months. Frontier's BAFTA-nominated Planet Coaster, which launched in 2016, continues to perform well with two million units sold, while Elite Dangerous has now sold three million units since its December 2014 launch. This success helped revenues jump 240% to £64.7 million in the six months to November 30, with the group comfortable with City projections for a sales figure of between £79 million and £88 million in the full year. Frontier is on track to launch its fourth franchise later in 2019, with this investment sustained by a growing cash balance of £39.5 million. The forthcoming launch, alongside the continued success of the existing franchises, means the stock merits a premium valuation, according to analysts at house broker Liberum. They have retained a price target of 1,800p, adding that shares "look cheap against short-term metrics and the board's longer-term ambition". "The price suffered in the market correction last year and a price/earnings multiple of just 22x FY 2019 offers excellent value for a high quality growth business with such a strong intellectual property base." 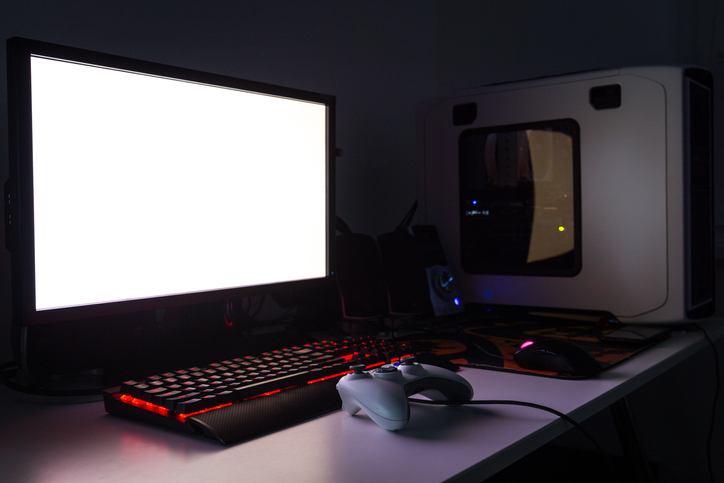 Growth prospects for the industry were highlighted last year in a report by PwC predicting that in 2020 the UK video games and eSports market will be worth £5.1 billion, making it bigger than the UK book sector. With immersive experiences and the opportunity for gamers to interact, the industry has moved at a rapid pace in the past decade. Liberum thinks that streaming by the likes of Google (NASDAQ:GOOGL) and Amazon (NASDAQ:AMZN) could be the next big opportunity, with benefits for the whole computer gaming sector. China is also an important market for Frontier after the 2017 fundraising in which entertainment company Tencent (SEHK:700) took a 9% stake as part of a strategic investment. China stopped the approval of new video games last March but this ban has since been lifted. Frontier recently celebrated its 25th anniversary, having been established by CEO David Braben. Over the past five years, the group has seen an explosion in its performance and share price after moving from a 'work-for-hire' developer to an established self-publisher. Braben, who co-authored the Elite video game in 1982, said today: "I believe we are still at the start of our journey. "We have a lot of exciting opportunities ahead of us driven by our resources, capability and experience, our strong partnerships, and the widening opportunities for games companies within the ever-changing entertainment industry."